The Seneca’s Buffalo Creek Casino has expanded its hours to 8am – 4am. Pensioners and the working poor rejoice. Nothing like playing nickel and penny slots at 8am. While Cookie Monster’s song echoes in your head, hopefully for the entire day, consider this news, which at least partly explains why the city of Buffalo is the second poorest large city in the nation. 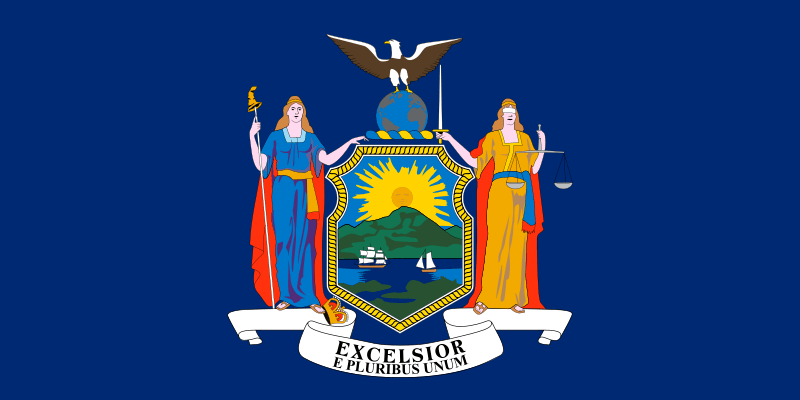 The Business Council of New York State Inc. on Thursday released its Economic Growth Index, ranking the growth rate of the state’s 62 counties and all 50 states in five key areas between 1995 and 2005. The study questioned growth in jobs, average wage per job, total personal income, per-capita personal income, and population. The Western New York counties of Erie, Niagara, Allegany, Chautauqua and Genesee received an F while Cattaraugus Wyoming received a D in the grading system. Also, the counties of Monroe and Onondaga, which include Rochester and Syracuse, respectively, received an F.
Of the 52 counties classified to be part of Upstate, 27 were given an F and 10 were graded a D.
Growth in jobs, population, and income are all at the bottom of the nationwide barrel. Given the mood I’m in, I’m of the mind that no one in Albany gives a crap. So long as their pet programs and allies are taken care of, and so long as Joe and Shelly are pleased, there will be nothing done whatsoever about this. Ex-frickin-celsior. How Do You Reverse Years of Decline? Buffalo is the second poorest city in the nation. According to census figures that are detailed on the front page of the paper, almost 30% of Buffalo’s population is below the poverty level, and a shocking 42.9% of children live in poverty. Buffalo’s median income is $27,850 – the third lowest in the nation. This didn’t happen overnight, and turning it around is going to take time and will. The article focuses on schools and how important it is that the children get a good education so that they can learn the skills they need to compete in our post-industrial era. It’s hard to do when mom and/or dad can’t afford basic school supplies. It’s hard to do when many families are broken. It’s hard to do when people are so poor that school takes a back seat to just getting by. But as I posted yesterday, safety is another part of the turnaround puzzle. Whether it’s gang warfare on the west side or petty theft downtown, community policing is the key to changing people’s perception of the city’s safety, as well as the reality. Cops walking a beat, getting to know the neighborhood they’re serving would make a huge difference. We can CitiStat this place to death, and efficiency is nice. But safety and schools are critical, both in condition and of importance. As for jobs, the future is in entrepreneurship and small business. We can’t rely on big industry anymore. Whatever the city can do to promote the creation of small businesses within its limits, whether through microloans or a streamlined, user-friendly permitting process, would make a big difference. This post at Andrew Sullivan’s place is rather heartbreaking. Two years on and the hard work of cleaning up the 9th Ward continues to fall on eager volunteers. Eager volunteers who leave outraged. As for federal funding, it’s inadequate, the federal agencies are in over their heads, and it’s wrapped up in red tape and bureaucracy. Maybe for a start we could design some levees that operate on a post-19th century design. Clicky here for the full article. In a Long Island speech yesterday, Governor Eliot Spitzer suggested for the first time that he might be willing to consider a state-imposed cap on property taxes. If the governor is serious, it could be a turning point for heavily burdened New York property owners. Iconic local music store New World Record plans to shutter their location on Elmwood Avenue and move to a new location in a strip mall at the corner of Delaware and Hertel Avenues. The independent record store which features local artists, live performances, and hard to find music had been a key component in the development of the Elmwood Avenue retail district. After 17 years at the corner of Elmwood and Cleveland, New World Record needs room to grow and a lower monthly rent. I’m sure that many will make this an indictment of business on Elmwood or Buffalo in general, but this is really about a record store fighting the onslaught of on demand music downloads and the lack of interest from consumers in physical media purchases. From a 50,000 foot view, it would seem that New World Record drew a tremendous amount of foot traffic due to their location in the most vibrant portion of the Elmwood District. Pulling in traffic from their shared entrance with Spot Coffee and the younger demographic found in that neighborhood. Moving to a nondescript Benderson plaza at the non-pedestrian friendly corner of Delaware and Hertel would seem to reduce store traffic. However, the owners are probably hoping to create a parking friendly destination shopping location for people in North Buffalo and the immediate northern suburbs. The new store will be a a little larger and will provide the opportunity for the buildout of a small stage area for in-store performances. What are your thoughts? Good news or bad news for Elmwood? If the gods of the news could grant me one wish, it would be that the news actually did news. I’m not criticizing the “as seen on TV” Mary Friona nonsense. I’m talking about the standard-issue cable news fare that has jettisoned actual, hard news for idiotic “screaming jerk right winger versus screaming jerk left winger” “debates”. The Today show just did a “story” about last week’s Opus comic, which poked fun at radical Islam. Some papers refused to run the cartoon, and Matt Lauer had to referee a screaming match between a right-winger who was outraged – OUTRAGED that some papers were to chicken to run a provocative cartoon, and a left-wing guy who was outraged – OUTRAGED that the right-wing guy didn’t recognize the editorial right of a paper not to run something it found provocative. I don’t know who either of these two people are, nor do I want to. What passes for news and discourse in this country has devolved into little more than a WWE match, full of sound and fury signifying nothing. Now what that really shows is a very, very nervous teenager put on the spot during a live nationally televised event, and she can be excused for her inarticulate answer. But since “news” seldom contains actual news, or else contains very quick batches of sound bites about a small selection of the day’s events, Americans aren’t being made aware of what’s really going on in the world. Forget whether they can find the US on a map. Do they know about the crisis in Zimbabwe? Can they find Darfur on a map? Sometimes we live in this bubble of information that’s hard to pop. Welcome to the inaugural edition of the New York State Progressive Blog Roundup. Every week, we’ll be featuring news stories and highlights from blue bloggers across the state. Simple idea: it’s one state, and people should know what’s going on in other parts of it. Progressive blogs who’d like to join this network should send an email to NYPBN – at – googlegroups – dot – com. And now, your roundup. The Daily Gotham checks out Wikiscanner and finds some possibly, or probably, self-interested Wikipedia editing by the New York City Council. [require] the buildout of high speed broadband infrastructure to a minimum of 85% of the state, something desperately needed by under-served and economically depressed communities upstate. It would also protect net neutrality, bring cheaper cable and telephone rates through increased competition and allow New York to once again be a progressive, innovative model for other states to follow. Rochester Turning takes a closer look at a fundamentalist church in Pittsford, and finds some disturbing messages spread, as ever, by an incompetent press. Danger Democrat casts a baleful glance at John McHugh and some rather curious earmarks; flip-flopper McHugh was for these earmarks – he inserted them in an appropriations bill – before being against them – which he did when he voted against said bill. DragonFlyEye has a very well-designed reader survey, well worth taking not just to help a brother out, but for other bloggers who might gain from doing such a thing themselves. OnNYTurf provides a sneak peek at the upgrade of possibly the most useful feature of any New York City blog, its searchable Google/Subway map mashup. NYCO draws some wider inferences from shenanigans involving a billboard and, needless to say, state funds, at the New York State fair in Syracuse. Upstate Blue explores the background of the influence of the Independence Party in Saratoga Springs. With Democrats and republicans close to parity in terms of voter numbers, this minor party is able to affect close elections. Democracy in Albany is impatient – get in line – with mainsream media coverage of Bruno/Stonegate. Amen, brother. Joshing Politics is presently reporting from Paris, with photos, presumably to rub it in. 10,000 Things needs to publish more often. Check out their take on impeachment via William Shakespeare. NY-13 gauges public sentiment in the Thirteenth District via a very to-the-point letter to the editor in the Staten Island Advance. All in all, we prefer the chaos of the Democrats to the eerie, Teutonic, lock-step discipline of the Republicans. 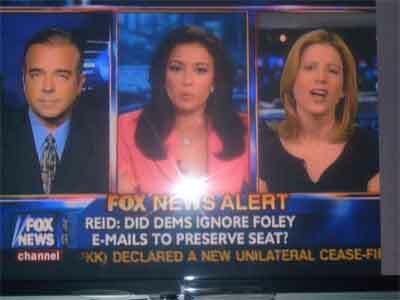 Nasty Letters has mildly disturbing video of Congressman Peter King, Wingnut-NY, palling out with Commander Guy. Not for the faint of heart. Also on Long Island, The Community Alliance takes a look at what could be either Habsburg court protocol or the rules governing the ascension to sainthood, but is in fact the logic behind and implementation of property tax rebates. Both Buffalo Pundit and Buffalo Geek are, unfortunately, dark at this writing due to a site upgrade. Next time, guys. And that’s what’s going on. Apologies to anyone left out – shoot an email to make sure it doesn’t happen again. …at the CACGEC candidate’s night I attended last night. While most of the talk was on casinos, at the very end of the meeting a woman stood up to make a great point. This happened in the middle of a short debate between three of the four people running for the Niagara District Common Council seat. A woman in the way back stood up and instead of asking a question, she made a statement. She said she lived in the East Village of New York City, but had gone to school in Buffalo and loved the city. She indicated that nothing would truly change in the city until its safety was improved. She indicated that what Giuliani-Bratton did in New York in the 90s needed to be duplicated in Buffalo; cops walking a beat, being permitted to talk to people and to become acquainted with the people whom they serve. Her point was that having all of these wonderful things going on in Buffalo would be for naught if people weren’t safe, and/or didn’t feel safe. For all the hand-wringing over one- or two-officer patrol cars, community policing is what should be set up. Sometime on Sunday evening, something happened to all of the WNYMedia.net sites. I don’t speak fluent php and I’m not that tech savvy, but let’s just say we broked teh internets. Given the emergency situation and the fact that they all have actual day jobs, I have to hand it to the WNYMedia.net ninjas for getting the sites back up so fast. In sum, I believe there was only one comment left in the afternoon of Sunday, and it’s gone now and I apologize for that, but this is the only way we could restore the sites.